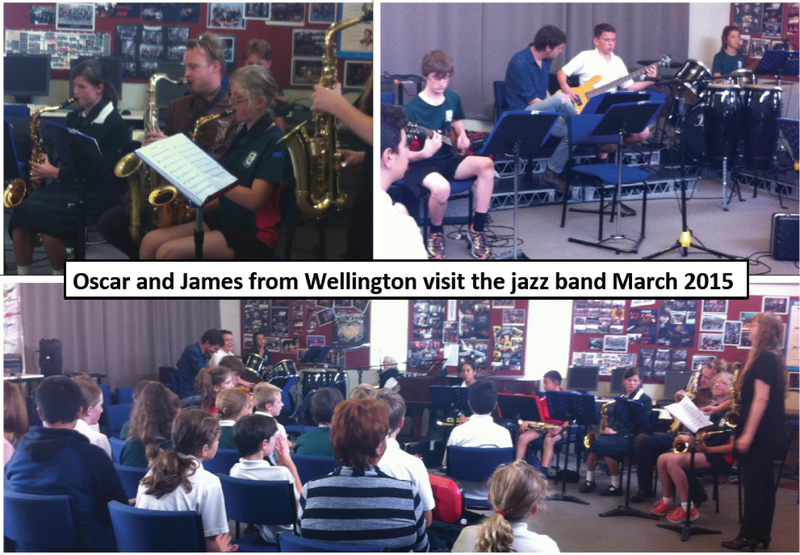 It was fantastic to have James Geluk and Oscar Laven from Wellington visit our jazz band last week. They played with us, traded ideas and taught us heaps. Thanks to room 17 for being a great audience for the open rehearsal-concert and it was also great to have Jeewon from Halswell school visiting too! We look forward to some of their students coming to play with our band soon. 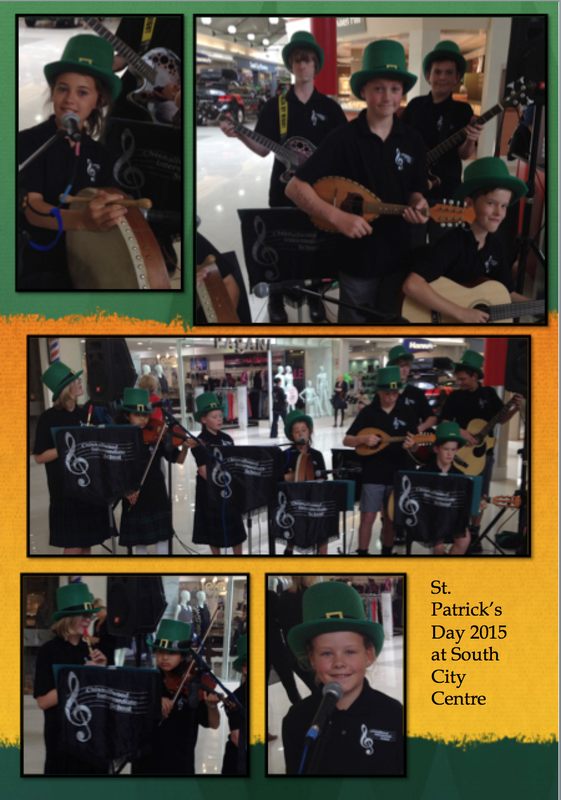 Some pictures from the St Patrick's Day gig at South City. If you missed hearing them, the Irish Band will be performing at the World Fair Trade Day at Trade Aid, Merivale on Sat May 9th as well as at Aranui and Shirley libraries in May. Tomorrow is the last theory club for the term (Please bring a gold coin). May 8th is the next closing date to sit a theory exam. (Exam is on June 20), then there is another opportunity later in the year. April 29 is closing date for rockbands entering RockQuest. Sat April 18th Sound Tech Training Day 9am-3pm. The NZ Jazz and blues Festival is on in Christchurch in the first week of the holidays. There are lots of great concerts to go to! MAY will be full of some cool performance opportunities for Chisnallwood students – There will be NZ Music Month school performances in both the Aranui and Shirley Libraries plus Ryan Bell at New Brighton Library, World Trade Aid day Irish performance (May 9), Hook Line and Sing Along sing-off (May 27), RockQuest (May 23), Buskathon (May 2-3). Entry by donation: ($2.00 – $10.00 per person) - all ages welcome. Please keep an eye on chisnallwoodmusic.org.nz for itinerant timetable updates and music group updates. Most performance groups have backstage areas on the webpage to help with their practice at home.